"Very friendly and fast to learn and create surveys"
Thank you so much for your honest review. We would like you to experience the best possible version of Typeform so if you get a minute to have a look at our help center. Here you can learn a few tips and tricks on how to effectively use the more complex features such as logic jumps. "An engaging and versatile form creation solution"
The standard format of the forms allow users to focus in on each question as if it were a one-on-one conversation. The overall feeling keeps users more engaged than a standard survey with a list of questions. There are many different types of question formats we can add and have the ability to use skip logic to make the user experience more pleasant and efficient. Typeform gives us user data that helps us to analyze the effectiveness of our forms. I don't dislike anything to the point where I'm unhappy, but there is a price to have unlimited questions, which I think isn't too bad. It would be nice if it could be lower though. I've seen other form creator tools with lower prices that have similar features. I've seen many other form builders and I think Typeform is a platform that can be used by most people, regardless of their technical or computing ability. You can generate tons of data and make signups and other types of business processing a breeze. Typeform is a platform that easily generates large amounts of feedback and survey data. We also use it for a range of service registrations and event signups. Typeform gives us a versatile form builder platform that can not only makes it easy to create sharp and professional forms, but also provides a stable and reliable processing and database system that help us to store and manage our data securely. "Typeform makes incredible UX so easy!" Just like Apple, typeform takes the simple approach of less is more. It’s extremely easy to use which makes it very user-friendly. Our conversion rates are killer since we switched over to typeform. It is missing some complex options but this is something you sacrifice for having a truly simple interface that anyone can use. I wish some of the logic of ITTT could be more complex. I don’t like the auto save feature and wish they also had an actual save button as I have had it not save my updates before which is extremely frustrating. Also I think it could be a better experience on mobile. When you click on a typeform button it opens it up and you have to click start again. Seems like a waste of a click. We use it as a sales questionnaire and use the logic to determine what product is best for the client based on a complex selection process. Before we didn’t have a way to do this without actually speaking with the client, so this speeds up our sales process dramatically. I also use it for lead generation and it works very well. Thank for the great review. We really appreciate the kind words and honest constructive criticism. The mobile feature is something we are definitely working on right now, so watch this space. If you have any other questions please contact us at support@typeform.com. "An advanced online form creation platform with great customization tools"
Typeform has a clean and easy-to-use interface with straightforward controls for creating forms and surveys. I like the ability to create, copy and delete forms from a simple list in our account. We can also organize our forms in folders for added organizational options. It doesn't take a very long time to learn how to use Typeform. Most of what we need to do is laid out in an intuitive way with labels and instructions to help move us forward in the process. There are lots of customization options for adding different types of fields. We can create and edit forms to suit the needs of specific events, promotions and topics. I like the many quality templates to choose from and the ability to add our logo. Though I think Typeform is a good value, I think the pricing is a bit high compared to other similar services out there. Creating forms from scratch can be complicated for people that haven't work with online forms and programming questions in a logical way. Though Typeform can be great for complex forms and customizing, it probably isn't the best value when we're working with very basic forms. It can sometimes overcomplicate things. If you plan to send out many forms for surveys, registrations and other business purposes, Typeform can be a valuable tool for collecting data in a streamlined and organized way. They have many tools that can help you start sending out professional online forms quickly. Once you start collecting data, I think you'll be able to greatly improve your services or at least have valuable insight into your company's performance. Typeform has been a useful and versatile tool for collecting data for a variety of sales, marketing and general business purposes. We regularly send forms out to customers, staff and third-party associates to get feedback about our service, needs and registrations. We use much of the customer data to refine future marketing efforts and improve our services moving forward. Typeform is a great automation tools that has save us lots of time and streamlined our overall data collection work flow. Thank you for your candor, this review has been very insightful. We will do well to take everything you have said on board and use it to improve our product. "Fácil de usar y con buenas tasas de respuesta por el diseño y funcionalidad"
Las integraciones no son a nivel de usuario, sino que requieren de la participación de un técnico, no así el diseño y configuración de los formularios. Algunos de los cambios más recientes en la forma de diseñar los formularios son menos amables que la versión anterior. Sobre todo, las que se relacionan con el uso de negritas, ya que en las bases resultantes se muestran con unos corchetes que luego hay que eliminar. Además falta soporte en idioma español, lo que no se entiende siendo una empresa de origen en un país de habla hispana. Muchas de las páginas con tutoriales útiles son en inglés, lo que enlentece la búsqueda de respuestas. "Makes our data collection friendly and easy"
I love referring to previous answers, connecting my data to external services, showing questions one-by-one, using beautiful templates (which are customizable), having a clear, WYSIWYG editing interface, and getting simple but also more advanced features, like variables, seamless website embeds, or Google Analytics integration. We are using Typeform for internal surveys, internal orders (between departments), as well as the platform of our main market research survey. It allowed us to easily go bilingual, personal, and integrate with our internal platforms, incl GSheets and Slack. Internally, it lets us increase employee engagement. "Simply he best surveying tool"
The most beautiful forms out there, the design is so simple and pretty. The forms are very easy to fill out, great user experience on mobile and desktop! They are also very easy to build in an intuitive interface, with advanced features like starting the form it in an email, having hidden fields for email, and smart conditional questions. You can build forms extremely fast, and the onboarding for a new user is virtually just here's the link. Not much here.. The export format of the data isn't very easy to do data preparation on. The price for a collaborative instance is quite steep as well, but the forms are just as pretty in the free version. This is a great tool for sure. I do think you need to consider who your target personas and the people using it at your company are, for some industries, simpler less innovative tools will probably be enough. We use it to gather feedback from people within the company, as well as from customers and users through our email automation! We also build forms that we distribute in our industry to build content. And use it to gather feedback after trainings and classes. There's so fast and easy you start building forms all the time. "Beautiful surveys, great customer support, outage comms not up to scratch"
What I like best about Typeform is that its easy to create great looking, responsive surveys and forms. Typeform's customer support staff are patient, friendly and helpful. Typeform's API is strong, making it easy to programatically retrieve form submissions and load them into your own database. I wouldn't yet recommend Typeform to an organisation that wants to use Typeform as a platform, integrating it with their own products or services, as we do. - We detect incidents that are not reported by Typeform at all.
. There is never any follow up communication explaining the outage and what will be done to prevent it recurring. Typeform are way behind our other technology providers in this regard. I don't think these issues would be of concern if you were using Typeform to run the occasional survey, They are an issue if your business depends on it. Thank you for taking the time to write a review. We really appreciate it. Even though we don't publicize it, we do frequent retrospectives on bugs and outages to avoid the same problems happening for our users. Please keep an eye on our status page which we update regularly for you to be in the loop. "There is a lot to like about Typeform." I love the conversationality of the form. It has made filling out forms much easier and the way you can give different responses based on answers to other questions is amazing. Sometimes the image attachment doesn't work well. We have a form for our warranty that is put straight into Salesforce as a case. Sometimes the images do not come across or you have to log in to download. I also tried using Zapier to send to Gmail but then it was even more spotty although I never had the issues downloading the image attached just wouldn't work at all. I tried to set up a Zap that would go straight to salesforce but couldn't figure out how to set up a case and do an attachment in the same zap. Check it out. It would help to have someone that was familiar with the "Choose Your Own Adventure" books to get the most out of it. We use Typeform for our Warranty department as well as customer service forms. We also use Typeforms for quizzes for our store managers and new hire classes. Thank you for the review, we really appreciate your feedback. 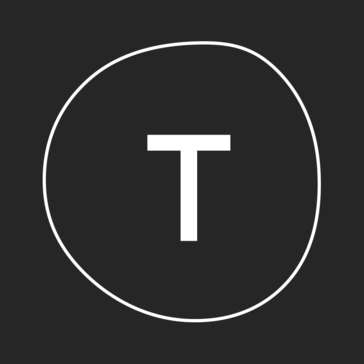 "Typeform is all we use for our contact forms"
The overall experience. Typeforms are easy to make. One question at a time. It keeps things simple. The ability to create logic jumps between questions. The fact that everything gets stored on a database, and can be quickly exported. I think typeform is an axample of a great product with a bad costumer service. The chat does not work lately or it was disabled. (i don´t know). I think typeform is sort of obscure with communication on the problems it faces. For example one functionality stopped working a while ago and they don´t say anything. Or at least there was no place where i could find where they explained what was happening (on their blog or on some sort of news) Im talking about how we cant download uploaded documents anymore unless we are logged in. That affects our operation and my costumers. They also lack of a clear way of contacting them and report bugs. There are no forms to report problems we are having. So i dont think Tform is intersted in a good open relationship with costumers or explaining in public whats happening, or if the service will be restored. In private they offer to restore the service if we accept our account to remain insecure. But why would anyone agree to that? I think that reflects that the company culture it not to be transparent. Conversion tracking, database managment. Statistics. Thank you for a great review. We appreciate the kind words. I'm sorry to hear about your experiences with our customer service. As it stands the best way to get the fastest response from our CS team would be to email support@typeform.com. With regards to bugs and outages, we do have a status page which is regularly updated for you to look at here: status.typeform.com. I hope this makes your customer service experience a bit better from now on. "Beautiful, but some serious problems with reliability and forms crashing." We love the clean and interactive interface -- it's fresh, intuitive and works beautifully for our brand. In theory, we like the potential for complex forms including logic jumps and payment fields..
We've had MAJOR problems with forms crashing / being wiped out / suddenly functioning incorrectly on three different occasions now.. we've stuck with it thus far, as the forms are just so darn pretty, but we've run into some really substantial data losses and received little to no help from their support team. On one occasion, we'd spent months building a comprehensive ordering form for our clients, and one day it was simply wiped out, GONE. We were told that this could be a problem when forms were 'too long'.. whaat? Currently, we have a situation where one of our forms' logic jumps are suddenly out of order for no apparent reason.. it's frustrating, as it's very time- and energy-consuming to plan, think through, and create these forms, and it's become difficult to rely on Typeform for our important data collection because of these issues. If your forms hold any important data, or are going to be even somewhat complex, make back-up copies and record your questionnaires' flow outside Typeform. We're gathering client order details, accepting deposits, and sending information internally at different project stages. We can connect it to our other apps through Zapier, which makes workflows easy to automate. We are sorry you have had these experiences. Alternatively emailing support@typeform.com will get you the quickest response. "Professional, just a little bit trick to edit"
Typeform is a great tool to relate with leads, customer and to share content. I work with inbound marketing and Typeform wirks for relate and to atract leads. Typeform was chosen for our company because of the embed and integration features, essencial to our goals and needs. I just think that it's a little hard to edit. The edit by blocs made it more difficult to change the content and understand the programation (score, jumps etc). But it's very versatile though. In our company, we miss a option of quiz directed for "most chosen option". Explore all of the options, make test forms and try the embed options. It's good to solve intern demands, like surveys, and to share content. It's great for Inbound Marketing, it's very interactive and have a visual professional visual. Share content with respectfull design is very important to Content Marketing. Thank you for taking the time to write a review for us. We especially like the kind words you have for us. With regards to editing have you tried looking at our help center? We have numerous amounts of content to help improve your Typeform experience. "Best idea to Get feedback from audience"
Typeform has numerous survey templates that can work for either survey, quizzes, questionnaires, polls, among others. It smoothly helps gather data from customers or from a particular audience. It easy to build questionnaires with Typeform, and also way easier for your audience to fill the forms. My use of it is truly remarkable and of course not regret at the moment. It's more than what you can imagine.Typeform is a worthy survey builder. "A user friendly, lovely interface with a few limitations"
When you want someone to fill out a survey, it's great to know they will have a pleasant time doing it and not be faced with an ugly, unfriendly interface. Typeform also has some useful features such as logic and file uploads. Using Zapier, I connect it with multiple other tools in my workflow. Typeform is fun and friendly but not ideal for more complex or advanced survey work. Things I'd like to see them add are user validation, custom URLs, and more complex logic. I use Typeform for a number of things, especially research screening, customer feedback, research waivers, and applications for our community. I recommend Typeform regularly for its ease of use both for the survey creator and the end user. Hey Laure, thank you for the review! If you'd like help with creating the logic jumps you're welcome to contact support here: support@typeform.com with your project idea and they'll try to help you figure it out. Thanks again for the nice review! "Typeform is amazing and beautiful." I absolutely love the ease of use. Wow, it has saved me so much time setting up lead forms, contact forms, surveys, and polls. The product is probably the best out there in terms of simplicity and beauty. Being a designer, I appreciate how beautiful typeforms are and they integrate into any website super easy. I would like a way to make the visual multiple choice images larger or in 1 column. Other than that, there's not really anything that I dislike. Take it for a spin and integrate it into your website. You will absolutely love it. Spinning up Lead Gen campaigns quickly and beautifully. The data and visual reporting are very nice. There are also great integrations. "Simply The Best Survey/Forms Tool Out There"
Oh, it is just beautiful! Collecting data with Typeform is a breeze and the whole process right from the set-up to the analytics is seamless. Have been using Typeform for a variety of purposes, and it has never failed, rather, always turned out to be excellent. Another thing to note that is the company takes feedback very encouragingly and tries to come up with solutions helping the end-user, which is what can be seen in the v2 launch of Typeform, as compared to V1. All in all, everything, is simply amazing with Typeform! The pricing isn't the most optimal for young companies. This is something which Typeform should acknowledge as it has also graduated from the same phase. The minimum paid plan starts at 360$ for a year, which is honestly just too much! Go for it, if you can afford it! User surveys, mostly, and lead capturing for dynamic landing pages. Thank you so much for the feedback. We really appreciate your kind words! Please don't hesitate to contact us if you need any assistance. "Forms with wonderful UX, easy to use and free plan, nice work!" I can say that I've try some other surveys services and none of them offer a nice experience at filling forms, It has smooth transitions, perfect font size and you can choose from pretty nice templates to start with. You can change UI language, and there is Spanish available, a must have for local clients. There is algo a nice intragration for Trello, that let you add cards to a list inside a board from entries in typerform. Love it! Free plan is perfect for small business, experiments or internal surveys, even you can use it like a design brief form. Hope there was a better integration with Mailchimp or email providers like Gmail,that let you embed forms directly in campaings. Don't look further, ask your customers or anyone, anything with a beautiful experience. Try free plan before buying, it let you get 100 responses in a month! For starters, try using a template to get nice results, with no effort. It help me to amaze clients and costumers with the beautiful experience and therefore close deals. It helps anyone to understand the difference between classic boring forms and forms that really make you want to complete. Thank you for your kind words. Be sure to let us know if you need to know anything, we will be more than happy to help. "Elegant and effective forms for many different uses." Typeform v2 just launched and it is a drastic change from v1, but with a little exposure, it quickly becomes apparent that they have made it faster than ever to create a form. v2 instantly displays changes that you make to your form and building it is as easy as typing in the browser. Along with its ease of use, Typeform offers more complex features that really allow you to expand your uses for the product. We use question branching and the calculator tool to make an inexpensive online quiz for a segment of our users. Typeform also supports embedding YouTube and Vimeo videos and uploading pictures. Typeform also support integration with other online services, either natively or by using Zapier (which has excellent integration with Typeform). Thank you for the positive review. I will be sure to pass on your feedback to our product team. If you want to find out about more integrations we have, please visit our newly launched Typeform Connect page. "Most beautiful and functional survey tool I've worked with"
Both the front-end (survey taker) interfaces and the back-end user interface experience are among the cleanest I've seen. Capable of being minimalist and simple but also can be very colorful and whimsical - completely customizable to your needs as far as appearance and content go. It makes it fun for the survey taker to respond, which is helpful as most surveys are a pain to respond to. Typeform also makes creating surveys enjoyable and efficient, especially thanks to their recent new version release. I really really really wish Typeform integrated better with some of the other tools my company uses - it would be easier for us to collect results/feedback and automate that result/feedback management process. As it is, we're still extremely satisfied with the tool and this isn't stopping us from using it. We're able to collect feedback from our software users and customers easily. It's a breeze to create forms and review + share the results with our team internally. We really appreciate your positive feedback.We can't thank you enough for your kind words. We are focusing on integrations at the moment so watch this space. In the meantime go to https://www.typeform.com/connect/ to see what integrations we do have already. "Excellent software for the improvement and large-scale organizational growth. " What I like about Typeform is that it has a very easy-to-use interface that allows you to create any kind of surveys, in its free version it includes functions like unlimited questions and answers, data export options, custom-designed themes, as well as templates ready to use and basic reporting functions. It is really good and functional, and the benefits that are obtained without doubt allow organizational growth. I like it a lot, we use it daily. Typeform has been a very effective tool with which the objectives of the organization have been achieved, until now it has fulfilled my expectations, therefore I have nothing bad to say about it or that I did not like, it is very functional and with the that we have obtained great benefits. Because of the simplicity with which this excellent tool is presented, due to the great savings of time and economic growth to obtain, start using Typeform as your main survey tool that will allow you to obtain great benefits, it is really good. With Typeform there are no geographical limits and you can access any type of person with only having an online connection. ConTypeform we have been able to know first hand what are the problems and the motivations of our current or potential clients, in turn, to evaluate their levels of satisfaction based on products or services, to measure the level of quality of customer service of our employees, knowing those factors that would improve our products or services or what new functionalities would add, and something as important as knowing new changes and market trends and anticipating the competitive environment, based on that, we have achieved growth and development important, increase revenues and improve the infinities of processes all thanks to Typeform. "Beautiful Tool to Ask Questions in More Natural and Human Way!" The best thing I love about Typeform is the Autopilot integration which lets you follow up your collected leads with emails, SMS messages, postcards and more. So you see, there is no need to depend on any other tool to follow up your subscribers! They don't send out notification of new responses in the free trial plan. In order to receive notification of new lead capture, you need to integrate Typeform with a 3rd party like Slack etc.! If you are an entrepreneur or blogger who is selling products and services then you should try Typeform! It offers a free trial so I’d encourage you to give them a go for yourself and see the boost in your conversion rate over time. Create beautiful, mobile-ready online forms and surveys for free. Typeform's easy to use interface and drag and drop feature allows me to quickly design online forms like - Submit a deal form, registration or survey form, collecting online payments or quick feedback on product or service page. You get more by going PRO! You get access to build logic, perform calculations, upload files and documents, accept online payments using Stripe, and much more. I personally started with the trial account and switched to PRO to enjoy extra perks!! Thank you for the review. We really appreciate the kind words and will take your feedback on board. Do not hesitate to contact us if you need anything from our end. The Logic Jumps in the Pro subscription level are awesome--we use them in an initial assessment where it's hard to tell which criteria will be met. The design UI is easy and straightforward. Multiple workspaces allow for easily segregating different typeforms used by different teams, etc. I wish it had Square integration. Still getting used to the new v2 UI they recently rolled out. The main reason we initially chose Typeform was the Logic Jump functionality, which is remarkably easy to configure and use. It's a great solution for folks who need complex logic jumps (to jump people to certain questions and thus skip things that aren't relevant to them). I'd recommend testing that out if this is a need you have. We also really like the variables to capture a respondent's answers and personalize them a bit--such as using their name or their company's name in later questions. That's the kind of detail you don't see in all survey tools, and while it's small, it makes a big difference. We found the trial period for this great, and Typeform also let us try the PRO+ subscription level for a while for free to see if we'd like that better. (We stuck with PRO.) But they've been responsive and helpful when we've had issues. We use Typeform predominantly for having new clients complete a baseline questionnaire that we use to help determine the configurations they'll need when we set them up, and for training feedback surveys. The baseline assessments have evolved over time and the Typeform interface has made it easy for us to copy previous iterations and make adjustments to them, as well as to track clients' initial state so we can do point-in-time comparisons later on. The training feedback surveys have helped us capture anonymous feedback from training participants, and we've used this information to refine our training curriculum. Thank you for the solid review. Really appreciate your feedback. "Great with a few glitches"
The ease to create a typeform and to get targeted feedback. Certain parts in the interface that don't work I have reported and are still not dealt with: 1) The close button when integrating it in your website, 2) the interface for creating the questions shoots up and down all the time, even if you try holding the scroll bar, 3) when trying to type type text in the notification settings, it jumps to other fields and overwrites them. These are very annoying, have been reported and I am wondering: have you actually tested it yourself? If you want to create trusted smooth and enjoying experiences for your customers, do it with a Typeform. Getting people to sign up for my classes. Getting people's opinions on things that I need to understand my customers better. Hey Davido, thank you so much for taking the time to review us. Sorry to hear that you've experienced a few problems! If this is still the case please don't hesitate to get in touch with us at support@typeform.com and we'll run some tests to see what the issue may be. "Great tool, but sometimes a bit confusing"
I like the looks of it and the possibility of associating images to the survey. It is also very versatile. The possibility of creating an "user variable", for instance, that allows us to direct the survey to a specific person, is very useful for situations in which we have to send the same survey to different coworkers. The interface is really easy to understand and the templates are easy to customize. It is also very easy to download .CSV or .xls files, which makes it really easy to both import data to excel or SPSS. The several question types available are also a great advantage here. Some functions are a bit confusing, like the logic jumps. It is not as intuitive as I think it should be. On the other hand, the free version is very limited, which can make it a not so great tool for casual users. Switch to it, it's a GREAT tool. However, be sure to do some research on google to know how to perform certain functions. Not everything is as easy to understand as it could be. We use typeform for almost everything: from surveys during hiring processes, to performance evaluation. We even use it for some market research and data collection for studies. The benefits are the customisation possibilities. Thank you for your response. We always take all feedback on board. Have a look at our help center for hints and tips for some of our newer functions. "Love this platform for surveys." Okay, sure, it can get complicated if you have tons of different outcomes for your survey. But it is so awesome style-wise and in the way of customizability that it outweighs that complication. I love this platform and use it for ALL of my clients surveys. Just that it can get a little complicated when it comes to having a lot of different outcomes. It's great, and you'll love it. We're getting tons of customer feedback as well as being able to lead capture so that we can retarget these people with email campaigns. I know a lot of services offer this but the ease and look of Typeform makes a true difference. Hey Erica, thanks for the review, it's great to hear we're making a real difference in helping you get closer to your goals! "A wonderful addition to our company." Typeform has always been easy to use for myself, clients, and students. I’ve never had to walk someone through taking a quiz or filling out a form using this platform. It’s a great addition to RSI as we use Typeform for virtually just about everything. Currently, there is nothing that I dislike about Typeform. It’s always smooth sailing. If there is a question or concern, they’re always there to help and resolve the issue. Thank you so much for the review. We really appreciate your kind words. "The Best Way to Gather Information"
I've filled out a lot of on-line forms, and I've created a lot of online forms. before Typeform, it was always tedious at best, painful at worst, and never an experience that I enjoyed. Typeform's thoughtful, human-based approach to gathering information is actually fun to use. I know it sounds strange to think of filling out forms as being enjoyable, but Typeform has pulled it off - both for the person filling the form, and for the person designing the form. Typeform's beauty is in its straightforward simplicity. This simplicity necessarily limits some of the functionality allowed. I personally believe that this is good - it keeps the focus on getting the information you need without allowing some of the distractions to get in the way - but it is not the most feature packed form tool available. Try it, build a form, take that form yourself and see how it works for you. It's hard to understand just how good the form-filling experience can be without actually trying Typeform. I use Typeform for a wide variety of business problems. I take candidate interest forms, candidate applications, follow-up for clients, document uploads, citizen surveys, etc. Anything that I need to get people's information on, I use Typeform for. "Easy setup and free... doesn't get much better." Super easy to set up and use, with a robust set of features even for free accounts. You can create multiple forms on one account, too, which makes it easy to manage multiple form needs from one user. If you need more than one user to have access, you can add them to your team. There is also a good amount of reporting available and searchable. Nothing really, though perhaps having the option to remove branding would be nice. I think you can do that if you upgrade though. We have no reason to upgrade at this time, as we use Typeform purely for internal communication. Great support and list of standard features for free accounts. No "can only make one form" or anything like that just because you use the free version. I have even used Typeform to gather user data for a meetup group I run outside of work, I like it so much. We have created forms to collect information from our sales team to then create product sample images form them. Prior to this, it was a lot of back and forth with individual sales team members as we got color information, equipment needed, logo info, make of company requesting the image, and more. What used to take us hours now comes to us in one quick form response. Thank you for the awesome review. We appreciate you taking the time to do this. "Fantastic for creating custom forms for customers"
The ability to add questions and styles very easily within the tool - even without the pro version (which removes the watermark), the ability to customise the forms and add your own brand is fantastic. It has helped me with my role magnificently. The new editor is a little awkward at times - it relies a lot on keyboard interactions, so sometimes pressing "enter" adds a new section when I didn't want to. I much preferred the previous editor, which was more intuitive. I dislike most of the new editor and wish we had the option to use the previous. It is fantastic and makes form creation a breeze - the new editor is a bit clunky in my opinion, and I much preferred the old version, but the product still works well when you get the hang of the quirks that the new editor adds. I needed to capture complex, but key information as part of the implementation of our SaaS product. Previously we used Word documents, which seemed old-hat. Typeform allows me to create engaging forms, along with supporting content, that allows our customers to provide the information quickly and easily. Thank you for the review, although the best thing is hearing how Typeform helped you with your role! That's brilliant to hear. My favorite part about Typeform is that absolute delight that it gives users. It is the exact opposite of boring forms, it's unique and exciting. They have every question option you'll need, and they integrate with more platforms. I will always use Typeform! The only downside is that it is tricky to use it for multiple pages. There is a way to pull it off but I wish there was a more intuitive way to save if you have a multiple page form. We are using it for applications and lead magnets. As an educational institution, it provides us with the opportunity to give our potential students a wonderful first experience. "Dynamic resource to survey your customer base"
Nobody likes completing surveys but Typeform makes it easy. Specifically, with Typeform you can create well-designed forms/surveys that keep customer's engaged and focused on the question at hand. We've seen drastically higher response rates using Typeform when compared to the other tools we've used. Nothing. The only hiccup is that they're a European company and when they charge my US credit card I'm charged an international transaction fee. Typeform is a smaller company, but as a result, you get a better product that's tailed more towards its users than larger survey builders. Their support is great and you're feedback as a customer will always be heard with them. We use Typeform to survey customers for product feedback, NPS scores, and return reasons. Our previous solution was clunky, lacking on the design side. Not only is Typeform easy to use, but it provides an elegant customer-facing UI that in-turn provides a higher response rate for us. "The best form platform available. " Typeform has a beautiful and simplistic UX coupled with the ability to build complex and interactive forms unlike any other player in the space. I have been blown away by Typeform since day 1, and although their are things on my wishlist, they are constantly adding to and improving the platform. I know that typeform is not a quiz platform, so I am reaching for dislikes. However, I wish there was a little bit more of a sophisticated engine for scoring typeforms. We use the platform for many things, and one of those things is our certification program, but we have been limited to one answer options for our exams, and it would be great if you could have multiple answers with only 1 point. Typeform could also work on their messaging notifications, and their data analytics tool. The onboard messaging is pretty stock, and you have to pay for zapier to do anything more complex. Their onboard reporting tool, is also pretty standard, and you have to export the results into excel to do any real analysis. It would be great if the expanded the breadth of that a bit. Take advantage of their online knowledge base, don't be afraid to reach out to support, and be creative. This platform is capable of solving so many more problems than I initially realized. We use the platform for NPS Surveys, quick quizzes, certification test, launching projects with our small business product, and various other things. Thank you for the review and kind words. Typeform is ahead of the curve when it comes to personalization. We are able to make our surveys so conversational and targeted to that person. When people take the survey, they feel like we know them, and in turn, this has helped our completion percentage. I really don't dislike anything. I guess if I had to pick something, I would say I would like if there were more templates to choose from. There are many right now, but having an even more expansive list of options would be nice. Don't hesitate. This is the best platform out there. Typeform has allowed us to see a big improvement in our completion rates. This in turn has helped us better maximize this data. "An invaluable multi-tool to monitor and capture both organisation and customer data for action"
- Publish a dedicated results weblink to monitor responses collected from a survey (good for reporting up). Dislikes largely revolve around how easy it is to accidentally delete data. - The data deletion buttons are very accessible and often highlighted with greater clarity than others. - Ability to move customer data collection operations into the cloud. - Provide operational teams with an ability to collect and monitor data in the day-to-day. - Setup up simple reports for distribution to senior management. - Download results into Excel. - As the platform is cloud based, staff providing data and monitoring input can work out of the office inc. at home. Reduced our reliance on hardware and are able to keep costs down. - Typeform's ability to create a live online report means that for key surveys, elections and any other time dependent queries - senior management have a means to monitor results live without having to wait for dedicated reports to be generated. Reduce time to take action and improved the business agility. "Convenient tailored solution trees for specific customer issues/needs"
The manual building blocks are a very convenient way to get you started. I am Head of Product Support at Native Instruments GmbH, Berlin / Germany and we use Typeforms to provide tailored solution trees for specific technical symptoms that customers could phase. "Fastest way to create and distribute a good-looking form"
The latest iteration of Typeform is very intuitive and makes form building faster than other services I've tried. Typeform is also very extensible with their Zapier and Google product integrations. For example, every time I make a new form I can connect it to a Google Sheet, meaning that I don't have to allow other folks into my Typeform account where they could mess something up. I just share the link to the sheet and they can watch responses come in in real time. The reporting is just OK. It's excellent if you have a lot of questions that are multiple choice or scale-based, but if you're asking lots of open-ended questions it's difficult to view the responses when you're logged in. That's part of why I usually send all responses to Google, it's a little easier to parse the data there than it is inside the app. They have a free tier that will demonstrate the ease of use, so there's no reason not to give it a try and see if it meets your needs. You can always scale up to get more features once you've determined that the core product can meet your requirements. I use Typeform for a variety of businesses and non-profits to handle everything from event registration to customer satisfaction surveys. Because of their Stripe integration, I can also take payment for event registration, which is very nice. I have never had a customer complain about filling out a Typeform, which is a testament to how easy they make it to create and to fill out forms. Thank you for taking the time to write a review. We really appreciate your feedback and kind words. "A flexible, highly usable tool for gathering user feedback (and more)"
Typeform is the most flexible and user-friendly tool we've ever used for online surveys and forms, and this comes after having personally worked with more than 6 other similar solutions. By using Typeform, we've managed to increase our response rate, create friendly surveys that encourage respondents to fill in all the questions and get in-depth answers by tailoring their experience with the logic jumps feature (super useful!). It's easy and intuitive to create surveys and forms, and it usually takes just a few minutes once you've gone through the process once. The fact that you can customize the colors, add images and create a tailored experienced for the people who you seek to gather details from is essential in making it an engaging experience. The fact that it's hassle-free for both us and the respondents makes a difference. Also, their support is extremely helpful and fast. We only interacted once but we were very happy with how fast we received the details and the solution. One thing that we would love to have for our localization process is the ability to add language variants. That would greatly help us speak the same language as some of our users, who are spread across the world. For the moment, we're using logic jumps to solve this. A few more text formatting options would also be nice, but it's more of a nice-to-have than a need-to-have. We're using Typeform for a number of things, from gathering user feedback to asking people to sign up for beta testing programs to organizing giveaways. We have both standalone surveys and ongoing surveys that help us understand what issues our customers are facing, what features we could add to improve their experience and what core needs our product solved for them. Nothing can replace qualitative feedback coming straight from the users, so it's important for us to always keep an open door for anyone who wants to talk to us. One of the ways we do this is through these questionnaires. Thank for taking the time to give us such a detailed response. We really appreciate it. We are currently working on the language variants, we have actually recently released our Spanish platform so watch this space. "Best form app there is on the planet!" Literally everything about it. The team behind this software did an amazing job. It is so customizable it is just amazing. Compared to its competitors, we love Typeform and will use it until the end of times. If you value and care about design, this app is for you! There is no mobile support. I know it's very hard to actually have, but it would be nice to have a website that has mobile support or a mobile app. #1 app in our opinion. Don't bother using others, the team behind Typeform will not let you down! Our business is solving the issue of making sure everything looks consistent. Because it is very customizable, it allows us to make sure our branding is shown in every form. I love how user-friendly these surveys are. They are easy to build as well as easy to fill out. It is sometimes hard to get the custom design to be exactly what I want it to be since it won't automatically correct the sizing if the image is too large, etc. But it's an easy work around. I would absolutely recommend Typeform. It has been great to use and our customers love filling out these surveys. Also, adding logic jumps to questions allow you to make your surveys customized. Plus, the ability to have hidden fields so you don't have to ask for email addresses is great! We are using Typeform to survey our customers and prospects to be able to get data to create personas, and build out our customer research program. La facilidad de uso, la interfaz es super clara, es casi imposible hacer algo mal. El look es super profesional y el esfuerzo para lograrlo minimo. Las funciones han aunmentado mucho desde que empece a usarlo. Me gustaria tener mas opciones de personalización. La cantidad de fuentes que se puede usar es muy limitada, la opción para poner imagenes tambien. Usamos mucho la opción de subir contenido, pero al no tener ningun tipo de compresor para fotos o videos muchas veces no logramos subir lo que queremos. Usamos typeform para recolectar información en procesos sencillos de nuestro worflow dentro de la compañia. Ademas en los eventos de nuestros clientes para recolectar infomación de madera divertida y profesional. 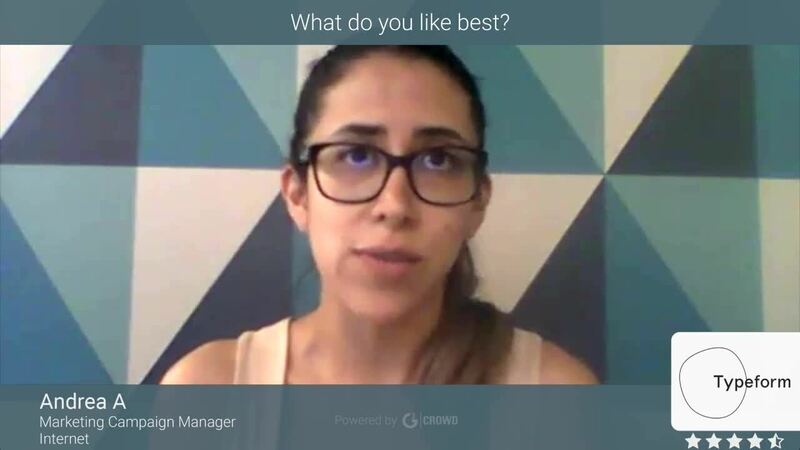 "The Best Survey Platform Ever"
Typeform makes forms more conversational - the product flows naturally and moves in a way that seems to encourage responses at a much higher rate than competitors. It also allows for a much higher level of customization around questions. You can build full logic and decision trees to ensure that you get to the root of what you're looking for, no matter which way the submitter goes. While not as hard as something like Adobe, all the customization options do add a tiny bit of a learning curve, but it's worth it and doesn't get in the way of creating simple and beautiful forms. We've been able to vet potential sales leads much more easily, gather customer feedback with less back and forth, and plan internal events with ease. Thanks so much for the great review, it's awesome to hear that you've experienced a higher response rate when using us! I love the simple format of the surveys - they are clean and simple for users taking our survey and easy to share or embed. The logic feature is great for taking users to different questions, depending on their answers to previous questions (sort of a choose-your-own-adventure experience). Including photos, videos, and links are all easy to do, and there isn't a question type that we've needed that isn't offered in the Pro version. Love the professional look and feel of it! The new update now puts the text in Edit mode in a typewriter-like font that is harder to read. The new edit format is much less intuitive, in my opinion, and takes me longer to use than the old version. One benefit of the update is that there is now a preview panel where you can see what your survey looks like as you edit, and you can test your dynamic fields/logic as you go. They have great customer service, great design, and easy-to-use product. We survey users in our market to learn their needs, goals, and to gauge interest in our product offerings. It's helped us connect with people who otherwise are unresponsive because the format of the surveys is simple to take. Typeform is very easy to use. Everything from creating a survey to integrating it with other services is smooth and simple. Plus it provides you with a good analytics of the answers and how users interact with the survey. Frankly - nothing. Not like it's ideal, but I've been using it for some pretty simple purposes and Typeform performed great. It MIGHT fail in more advanced use cases, but that depends on your specific needs. Typeform is great when it comes to presenting the survey results. It's pretty simple so worth a shot. Typeform is great for holding customer surveys. It makes it easy to get feedback and analyze the results. "Beauty survey software that's easy to use"
The beautiful user interface that is both from the creator-end and the survey-taker end. Changing the design of the survey is completely customizable on any plan and the survey style is graphical which encourages completion by the user. Sometimes the survey taker interface is so "fun" to the extent of being possibly confusing for the end user. For example, they can easily scroll up and down the page of the survey while hiding responses, and this could be confusing. Definitely try it if you're not afraid of learning a new software which is actually pretty easy to use. Much superior to Survey Monkey if your survey takers are a little more techie. Getting customer feedback about new features and how they're currently using features is excellent. I also created a response form for new users to tell me about their business which feeds automatically into Campaign Monitor to customize the type of emails that they get, which is very appreciated by our users. "Good for surveys, not set up for complex admissions"
The typeform platform is a beautiful design on the front end, and allows for professional looking, simple surveys (without complex jumps). It allows allows for a fair amount of customization, including references to earlier answers. The platform has a complex backend interface, specifically for more complicated forms. The 2.0 version update did not come with directions, and was complicated to adjust to at first (they made a lot of significant changes). The builder allows you to add "logic jumps" which take people to different questions depending on their answers, but it is still a bit clunky to use, and if you change the order of questions or add questions later, you can end up with bad logic quite easily. This does integrate with typeform, but is really NOT designed as a payment platform, and is difficult for payments. This is great for surveys, less good for form replacement. The backend here is a bit clunky, but it does have a fair amount of features available if you really take the time to learn logic jumps and calculator functions. What I like best about Typeform is that they have made it possible to customize forms and surveys unlike any other tool on the market. At the same time they offer all the most important features needed in a survey tool. The interface is so smooth and amazing! It is so so simple to use too! And, I love that you can easily track who has responded and view the results so easily. I don't like that they limit the amount of choices ( I think up to 10) for the free version; wish I could have more options. If you can afford it, and use it enough I would pay for the PRO version. There is a lot more room for customization. But if you only need it once in awhile, the free version is still great! I have no complaints! It is a great tool to send to a client to quickly and efficiently gauge the answers you need. Hey Mariah! Thanks for your thoughtful review, we really appreciate it. "Gorgeous UI experience and smooth form submission process!" The gorgeous UI and the more genuine process of form submission. The intuitive "question logic" that they had. 1st: It doesn't connect nor sync to other apps. Can't push values like names or email addresses to other apps after the forms have been answered. For example, I linked to my calendar so that successful form participants could book a free appointment with me. They had to enter their email addresses and name all over again, which is cumbersome. 2nd: I couldn't justify the price because my forms only got used 3x a month, so I had to eventually stop using Typeforms and replace it with a calendar software that already had a form integrated. 3rd: I've always found it odd that their default is to bill you discretely and that you had to dig out your own invoice yourself on the platform. All other software companies I know make me aware of invoices and billing via email automatically. Try it! You can't go wrong with something so smooth and intuitive. However, the paid version is not recommended if people use your forms very infrequently. People have a better experience answering my questions and are impressed with the brand design. Also, it's easy to deny someone of a reward if they are not the right target audience due to the intuitiveness of the forms. Fell in love with Typeform the first time I used it. The platform is super intuitive and easy-to-use. Adore that you can fully customize the surveys you make. To date, my company has only used the free version, but i have created Typeforms via the paid plan (under like a demo) that utilize logic jumps. This feature is fantastic and really makes for a more interactive experience for end-users. Having used Typeform (and taken Typeform surveys), the surveys feel a lot more "conversational" than other platforms. It's hard to describe... suffice to say they just flow. I also love the interface. The developers at Typeform clearly have UX in mind with what they do. I'd highly recommend this service to anyone who needs to conduct surveys/get feedback/etc. in their work. Not much... I haven't looked at their pricing structure recently, but if I recall, there seemed to be a large jump between the free version and the unbranded premium version with logic jump. Since we aren't sending out surveys all that often, I wish that had an intermediate step. Or even like one-offs. eg. I use Moovly for video. I do have a subscription now, but before that, I loved that I could simply buy the one video I made if I needed to. Typically use Typeform for event follow-up surveys. People seem to like it; responding is quick and easy. Love the flexibility of Typeform. So many ways to personalize each form that it can be used for a very wide variety of situations. Easy to customize the appearance, too, and the integrations have made info gathering and sharing simple. I genuinely can't think of anything right now. We gather client contact information updates, award nominations, event RSVPs, monthly and annual performance reports from subunits, client job requests, customer service feedback, and NPS. The ability to send notifications to multiple team members and to Google sheets has streamlined our reporting processes. You are making us blush with all these kind words. Really appreciate the feedback. Thank you. * We monitor all Typeform reviews to prevent fraudulent reviews and keep review quality high. We do not post reviews by company employees or direct competitors. Validated reviews require the user to submit a screenshot of the product containing their user ID, in order to verify a user is an actual user of the product. Hi there! Are you looking to implement a solution like Typeform?